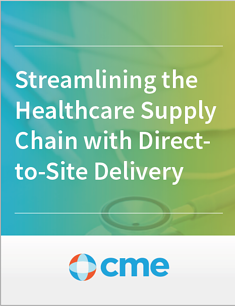 Download: "Streamlining the Healthcare Supply Chain with Direct-to-Site Delivery"
The healthcare system is currently expanding at a breakneck pace in order to keep up with an ever-increasing population growth and resultant increase in demand for medical services. This brisk pace of development encompasses everything from the significant expansion and remodeling of existing facilities to the construction of entirely new hospitals and clinics of every type. Our eBook: Streamlining the Healthcare Supply Chain with Direct-To-Site Delivery will provide you with an understanding of what the Direct-to-Site Process is.